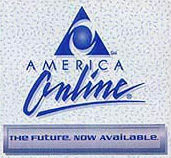 AOL Acquiring Time Warner In Desperate Attempt To Look "Uncool"
AOL is one of the coolest companies in the world. Everyone uses it, "@aol.com" e-mail addresses are all the rage, and Instant Messenger is ubiquitous amongst Generation Y. So why in the world is the ultra-hip ISP acquiring a stodgy "old media" conglomerate like Time Warner? When you think Warner Bros, you think Looney Tunes (debuted 1935), you think Superman (1938), you think Casablanca (1942). Nothing but old, old franchises. Time Magazine ? I doubt it'll even still be in print by 2015. Seriously, why is an internet company is buying up print magazines anyway? What in the world is AOL's board thinking? I guess CEO Steve Case is betting that Time Warner will provide AOL with a captivating hook to reel in the baby boomers and older audiences that have thus far eluded their grasp. I hope the risk to AOL's coolness factor is worth it.